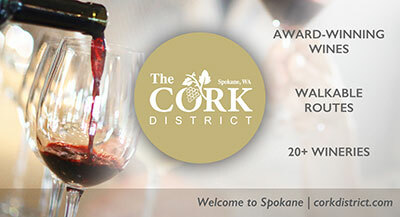 Spokane-area wineries received numerous awards from the 2012 Seattle Wine Awards, and the 2012 NorthWest Wine Summit. Many local wineries chose to enter the competitions, and wines are judged by tasting panels. The Seattle Wine Awards tasting panel is comprised of wine professionals ranging from master sommeliers to wine shop proprietors, and the NorthWest Wine Summit judging panel includes regional winemakers and wine professionals. Spokane is home to increasingly renowned wineries with a unique vintner mindset that inspires intense rich reds, crisp whites, complex blends and even a bit of the bubbly. 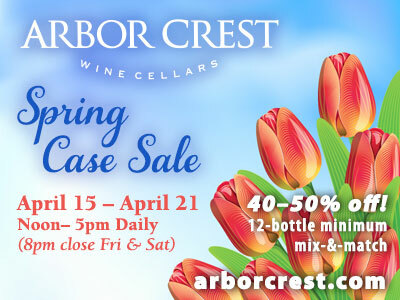 Interested in purchasing these award-winning wines? Visit Spokanewineries.net. The 2012 Spokane Association of Realtors Awards were announced this week at the association's annual Awards Luncheon at the Red Lion River Inn. This year's award winners are Marianne Guenther Bornhoft (pictured), Realtor Achievement; Myron & Rita Bursell, Spokane's Citizen of the Year; Joe Mann, Realtor of the Year; Tara Ostlind, Affiliate of the Year; Dana Michie (Lake Spokane Outpost newspaper), Media of the Year; Shelley McDowell, REALTOR Community Service. Eastern Washington University has named Amy Johnson, EdD, as the new dean of students and associate vice president for Student Life. A native of Washington, Johnson is presently serving as the senior associate dean at the University of Southern California. She is also an associate professor of education in the Rossier School of Education at USC, where she has taught a number of courses, including management in higher education. Johnson holds a BA in English and communication from the University of Puget Sound, an MS in education from the University of Pennsylvania and an EdD in higher education administration from the University of Pennsylvania. At their June 14 meeting, NAWBO is bringing together 4 successful women in business that started, inherited, or took over a business that is now 7 years old, or older. You'll get a chance to learn about what drives them, how they use technology, what change looks like to them, and what roadblocks they have overcome to get their business where it is. These women are indeed full of passion, wisdom and inspiration - and this panel will give you a tour of what it takes to have longevity in your business. The speakers are Marti Hollenback, owner of Dishman Dodge Chrysler; Nancy Nelson, president of Humanix; Carol Bjork, Owner of HeyCats! Web Solutions and Jazzercise Spokane; and Carrie Magruder, Owner BrickHouse Massage & Coffee Bar. The date is June 14, 5:00pm Networking; 6:30pm Appetizers and Panel Discussion. The location is Dishman Dodge Chrysler, 7700 E. Sprague Avenue. Reserve online and pay at the door at reservations@nawbonw.org Questions? Call Connie Smith at 509-731-3309. Lenny Volpe, Jeffrey Hedspeth and Colin Smith are opening a new nightclub and entertainment venue called Swaxx in the former Swackhammers location at 25 E. Lincoln Road. A June 15 grand opening is planned. The Washington Wine Commission has honored Spencer's for Steaks and Chops, The Lincoln Center, Masselow's and Churchill's Steakhouse for high professional standards in wine serve and support of Washington wines. Providence Health Care has purchased its second family practice in Spokane Valley as regional clinics continue to consolidate with larger medical systems. Last year Providence acquired Valley Family Physicians, a clinic with four doctors. With the addition of Spokane Valley Family Medicine's eight doctors and 40 staff, Providence Medical Group now has a larger presence in Spokane Valley. Providence Medical Group now has 226 physicians in Spokane and Stevens counties along with 43 advanced practitioners and about 400 staff. Lorna Walsh has joined Leadership Spokane as the Alumni Relationships Manager. A graduate of Leadership Spokane Class of 2005, Walsh has more than 20 years of experience in nonprofit management, fundraising and community relations. In addition to her work with Leadership Spokane, Walsh serves as Business Development and Outreach Coordinator for the Applied Sciences Laboratory at WSU Spokane. She is an active member of the Spokane community. Walsh serves as Chair of the Inland Northwest Lighthouse for the Blind Advisory Council, sits on the Leadership Team for Greater Spokane Progress, and works with Spokane South Rotary as an active member. For more information visit the Leadership Spokane website at leadershipspokane.org. "Excellence is not a skill, it's an attitude."